The Hide, our second fabulous Roundhouse. Opening April 2019! Yurt divergence, a new way of being. Down here amongst the rolling holls at The Yurt Retreat in Somerset our Yurts have been putting on their winter coats. Ahem, that is to say… could they be called Yurts? It’s doubtful. As a caterpillar metamorphoses into a Butterfly, so does the Yurt, it seems. Lovingly coined the ‘treehouse-yurt baby’ (IE: Yes, imagine if our treehouse, and yurt actually had an offspring? You’re getting there) our new, exclusive Rotunda Roundhouse ( Pioneer) is sitting proudly in the spot where Hazel Yurt once did. The difference between the two? Well, suffice it to say the only real similarity is the shape. The replacement structure itself is more akin to a self contained holiday lodge than a yurt but the essence and soul of the thing still originates from the same roots. Circular, warm, uplifting and unique. A magical experience with ensuite, kitchen and outdoor bath for stargazing. “Hang on?” I hear you say, “Didn’t you just get one of these last year?”. Yes, indeed, we certainly did. The roundhouse ‘Nest’ was our big project for 2017 and we’ve had such success with it that it’s ignited our passion even further and encouraged us to build another on our beautiful retreat. 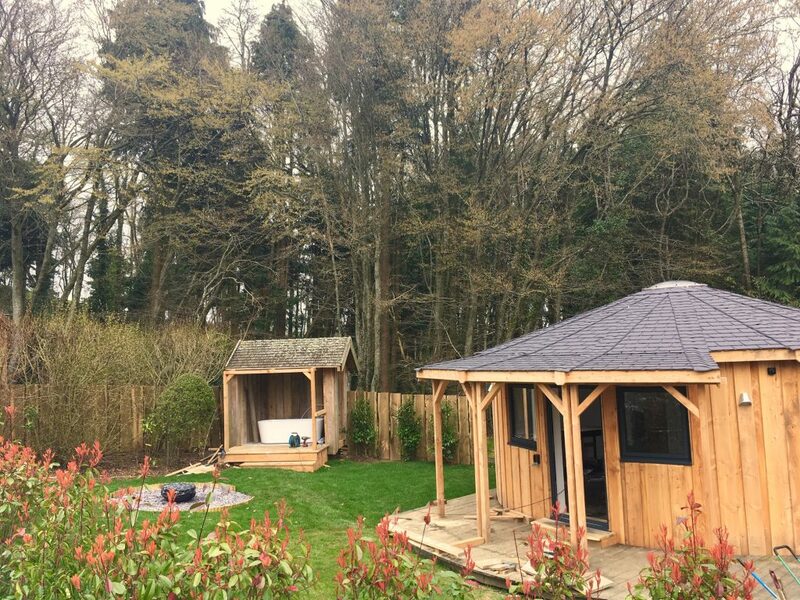 See, the beauty of transitioning from a canvas yurt to a timber-framed contemporary Roundhouse is that we are now able to offer our guests the option to retreat over to the Somerset hills all year round. With winter experiences and mini-breaks proving as popular as summer trips, we wanted the opportunity to open our doors over the Autumn (crisp, bright days and crunchy leaves! ), winter (snow underfoot and open fires – or 21 degrees, as is being experienced this year?!) and the early spring season (crispy, fosty mornings and snowdrops). So, come along and experience the Roundhouse for yourself. We are delighted to share our transition with you and to celebrate the opening we are offering a free bottle of bubbly to the first booking of 2019! This entry was posted in News on March 30, 2019 by Paul. ← A top 10 Treehouse!